If you like to make sure your clothes are pressed and fresh while away from home you might be interested in a new pocket-sized Nano Steam Iron which has been created by JNC launched via Kickstarter this week. “The fastest, smallest steamer & iron combo for home and on the go. Smooths wrinkles, cleans and protects fabrics in minutes”. Watch the demonstration video below to learn more about the Nano Steam Iron. JNC has made available the portable steam iron from roughly £48 or $63 offering a 30 percent saving off the recommended retail price. 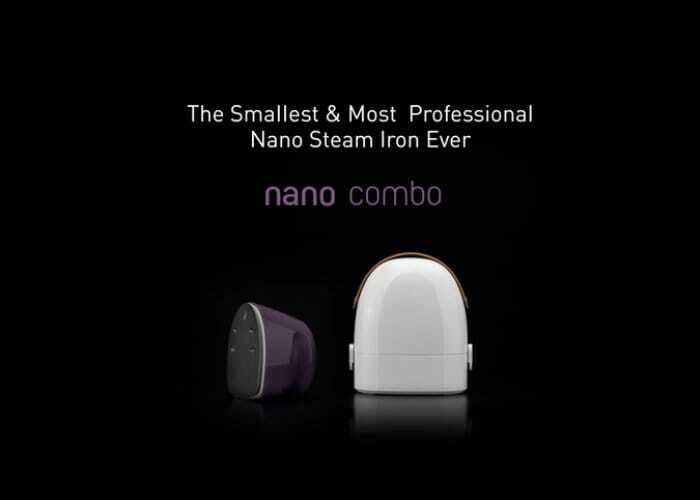 “Get it with the JNC Nano Steam Iron Combo (Nano Combo). Forget clunky, inconvenient traditional irons and steamers that don’t do the job: the JNC nano combo is a powerful portable garment steamer and iron that delivers professional results instantly. For a full list of all available pledges and options jump over to the official crowdfunding campaign page by following the link below.